My brother and his beautiful girlfriend came to visit us this past weekend and meet all of the animals for the first time. It seems crazy saying that, but that’s how long it’s been since I have seen him. He lives up in Connecticut and the few times I’ve been up north we’ve missed connecting. We had a fun visit – the kids just shy of driving us all nuts while piling on KB and Eleanor and demanding their full attention. 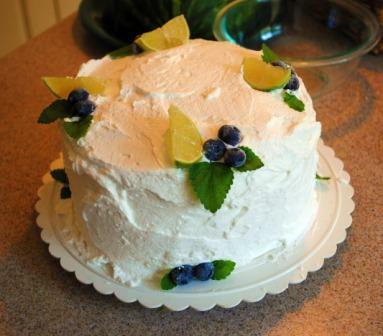 I made a yummy Lime Chiffon Cake for dessert Saturday night to set off the black beans and rice and homemade guacamole I made for dinner. Now I am salivating again. 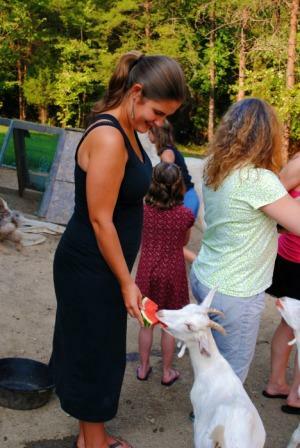 We also made lots of watermelon margaritas and fed all the leftover watermelon to the animals. I love how the goats’ little beards get all stained red from it. The boys are getting nice and fat and I think they are letting Milkshakes have some peace and she looks like she is finally putting some weight back on. 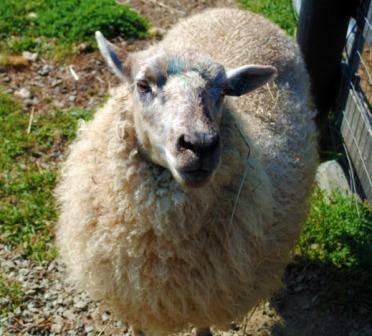 With luck I’ll be able to breed her to Susie’s Angora buck in the fall. 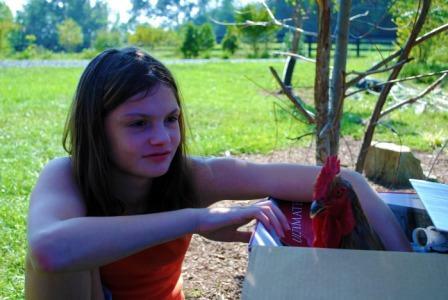 Speaking of Susie……..we donated our lovely Clem the rooster to Juniper Moon Farm. 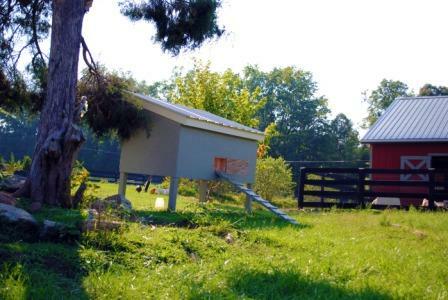 Susan mentioned wanting a rooster and I have an over abundance of them. Poor Clem was the low man on the totem pole so I am sure he is much happier now. We’ll miss him, but he’s got his own harem now! 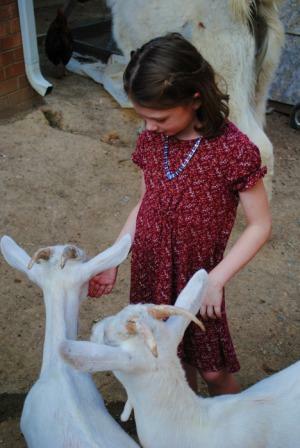 After dropping him off on Sunday we stuck around the farm a bit to see the baby goats get sheared. Feenat got sheared, too, not long after this picture was taken. She’s going to be bred this fall for the first time. I can’t wait to see her babies next spring! I love this spot at JMF. Just lovely. 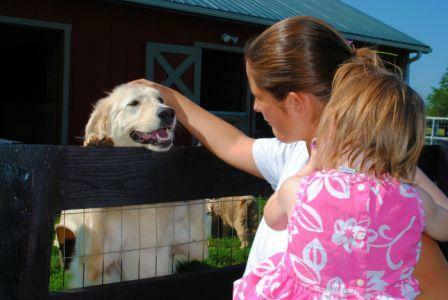 Oona was happy to sit quietly and watch the goats as long as she was with Eleanor. It was lovely, and now I really can’t wait for the fall shearing festival. 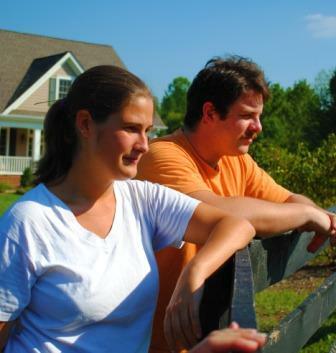 I was glad I finally got my brother out to see Susan’s farm, since I respect and admire her so much, and he and Eleanor got to see the kind of life I am working towards. He is hands down the most supportive man in my life. He’s also great with my kids. 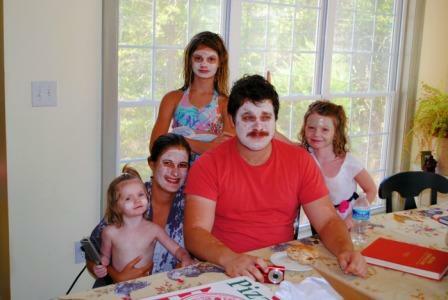 What other uncle would enjoy a nice facial with his nieces? They had an absolute blast and were very sad to see their uncle and auntie go. So was I! 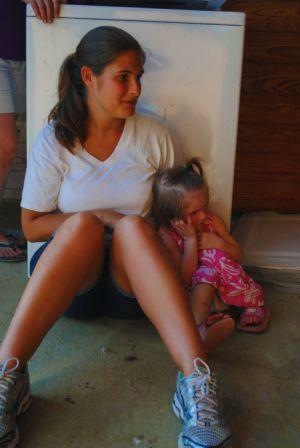 I can’t wait for our next visit! Great pics. I love the cake.